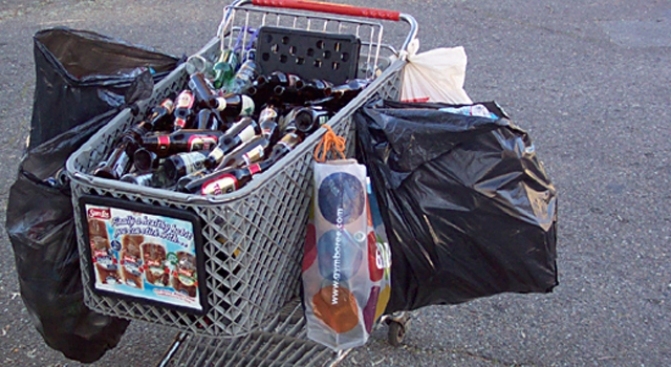 A new fine hopes to cut down on the amount of carts like this one around the city. Recycling thieves will have to lay off their booty or face $1,000 fines or six months in prison now, thanks to an injunction sought by Sunset Scavenger. For a while now, thousands of San Francisco residents have been complaining that the bandits "were becoming hostile and dangerous and were creating litter and noise." Now you can rest easy knowing your recycling will be recycled by the good guys.